On Tuesday we reported on the UN’s Intergovernmental Panel on Climate Change one point five Report. It spelled out a serious warning for the Caribbean and the rest of the world. Today, the Caribbean Community Climate Change Center, known as the five C’s, issued its own release to echo the warning that Caribbean leaders need to quickly cut carbon emissions by 2030. The report highlighted that for Small Island Developing States, the difference between warming at one point five and two degrees Celsius is critical. It causes increased water stress, more intense rainfall during tropical cyclones and increased exposure to irreversible sea level rise. The release says, “While some coral reefs would be able to adapt at one point five degrees Celsius, at two degrees, their chances of survival are next-to-none; irrecoverably damaging the fisheries and livelihoods that depend on them.” Next week Ministers of Health and Environment as well as other partner agencies will be convening in Grenada for the third Global Conference on Health and Climate Change to develop a plan of action on health and climate change for the Caribbean. 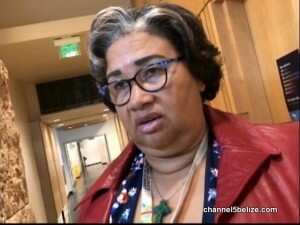 When we caught up recently with World Health Organisation’s Joy Saint John of Barbados at the Global Climate Action Summit, she shared that SIDS has been compiling data to strengthen the way climate change related illnesses are tackled.